"The Cameraman" is the quintessence of a romantic comedy. It was the first film of Buster Keaton after he signed a contract with MGM, and before the studio was able to stifle his unique creativity and effectively grind his career to a halt. 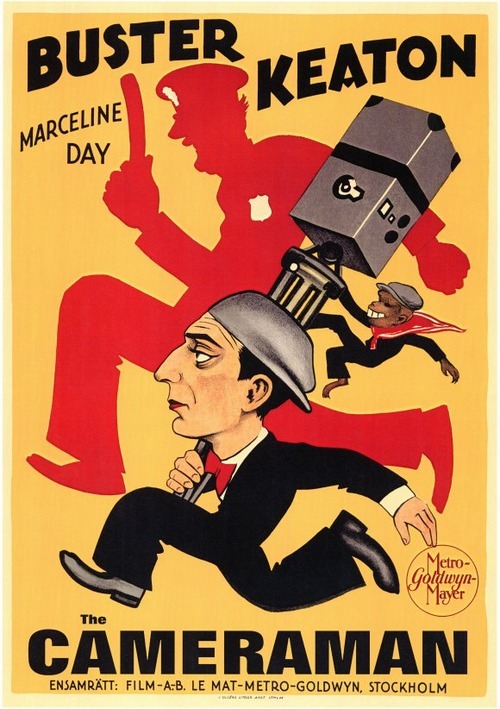 In this film Buster Keaton is still at the top of his form and he creates a string of breathtaking gags, which are masterfully connected with a nice story and a beautiful romance with the outstanding silent movie star Marceline Day. "The Cameraman" has it all: comedy, drama, romance, a roller-coaster of viewer emotions, heartbreak and triumph. 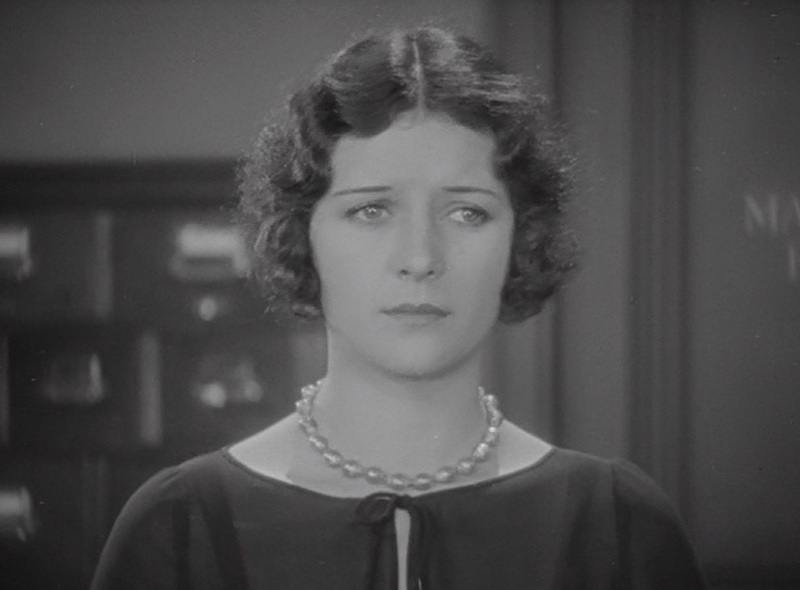 Marceline Day shines brightly and sweetly in the role of Sally; she is unbelievably touching in constantly encouraging and rooting for this awkward fellow, just out of a good heart, even before the romance takes shape. In the whole film there is only one little kiss from Marceline Day’s lips to Buster Keaton’s cheek, but this is plenty to melt all romantic hearts. These two masters of pantomime could say it all with their eyes, and say it in a way that world audiences could perfectly understand and appreciate 85 years ago, as they do today. 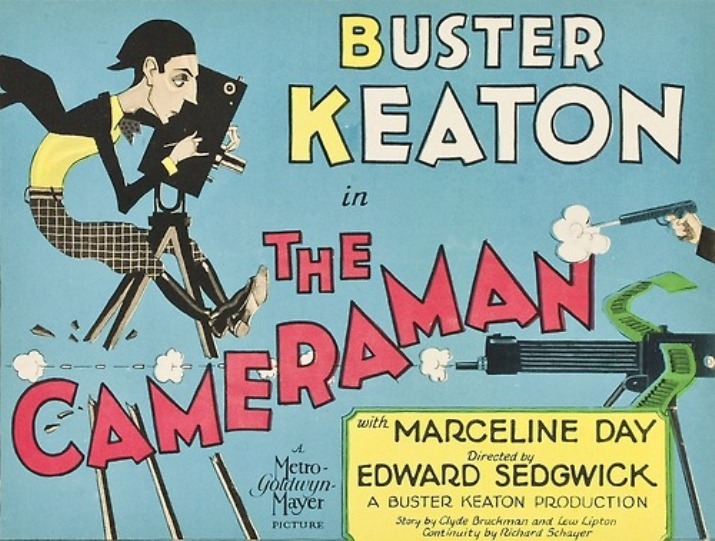 "The Cameraman" was the peak of both Buster Keaton’s and Marceline Day’s careers. It is, arguably, their biggest achievement. 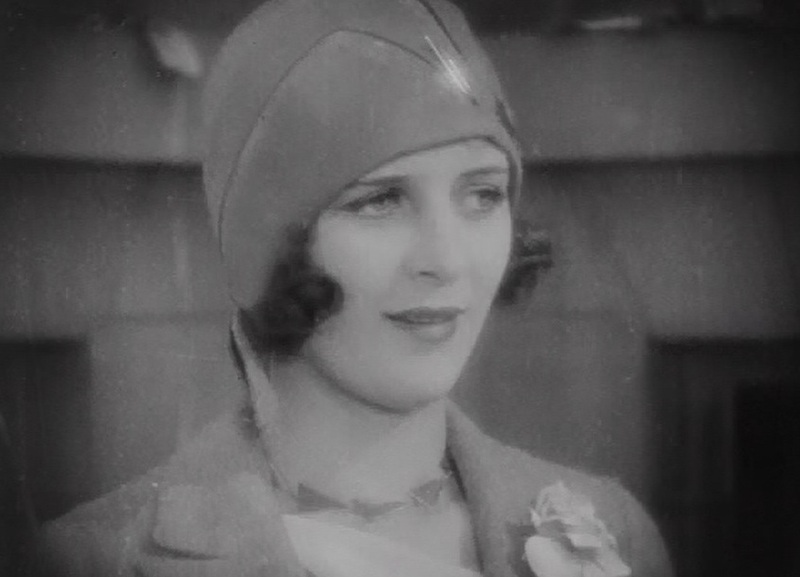 Marceline Day's wonderful interpretation of her role is one of the reasons why this film is so universally acclaimed both by the critics and by the public. One blogger is of the opinion here that for her performance in "The Cameraman" Marceline Day should have been selected as the winner of an Oscar in 1928-1929 for Supporting Actress (Comedy/Musical). "The Cameraman" has an outstanding ranking 8.3 in IMDB. Ironically, after destroying Buster Keaton’s career and almost destroying his life, MGM used the film to teach comedians for generations. The film is ranked number 37 in the list of The Top 100 Silent Era Films of the influential website Silent Era. "The Cameraman" was added to the National Film Registryin 2005 as being deemed "culturally, historically, or aesthetically significant". This is one film for the ages. Buster Keaton’s name and legacy were revived in the 60ies and he has received full public recognition for his silent masterpieces. Marceline Day, on the contrary, has not been given any award from the film industry establishment and her legacy as an illustrious silent movie star has been largely ignored, until now. It is the responsibility of all silent film lovers to fight and bring her name and outstanding contributions back from oblivion. Below is a short clip of the film. 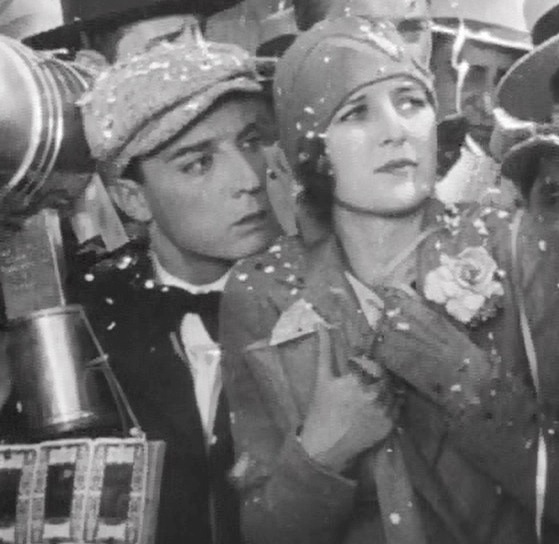 Marceline Day and Buster Keaton are squeezed together during the ticker tape parade in "The Cameraman" (1928). Buster Keaton is mesmerized by Marceline Day's beauty in "The Cameraman" (1928). Marceline Day poses for Buster Keaton in "The Cameraman" (1928). Marceline Day wants to pay Buster Keaton for the tintype in "The Cameraman" (1928). 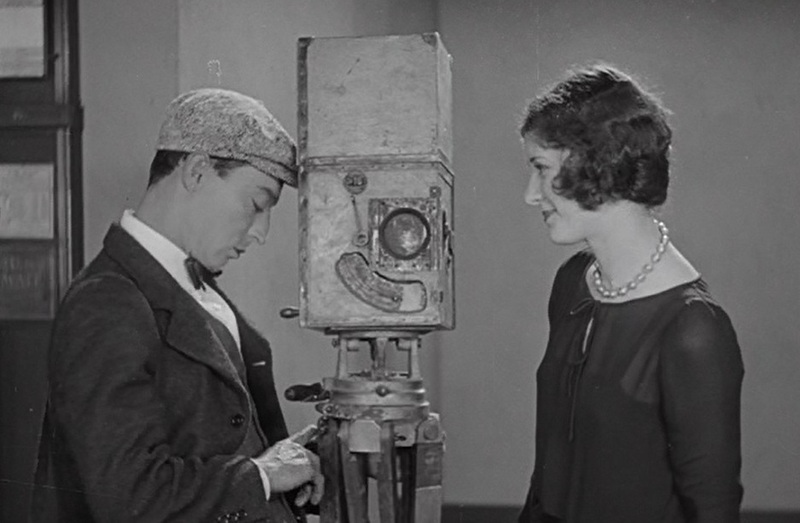 Marceline Day looks anxiously when Buster Keaton brings his second-hand camera in "The Cameraman" (1928). 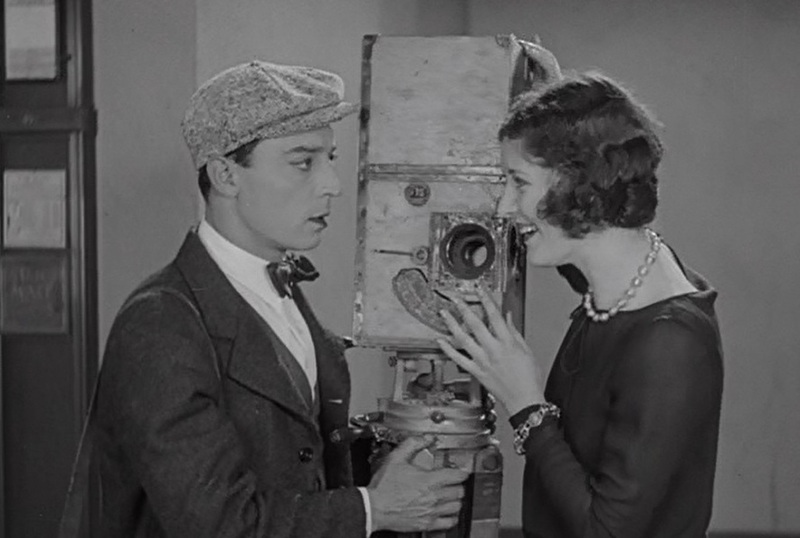 Marceline Day tells Buster Keaton "You should go photograph the fire, too" in "The Cameraman" (1928). Marceline Day is very worried as Buster Keaton appears to be failing the camera test in "The Cameraman" (1928). 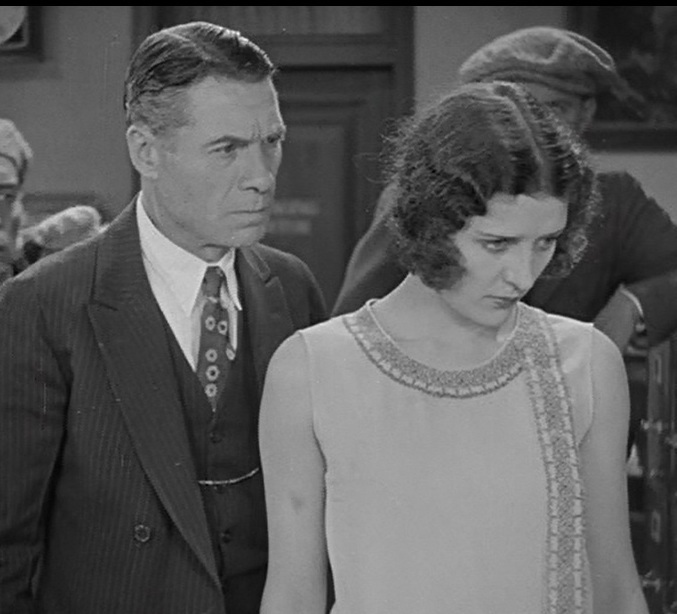 Marceline Day is worried after Buster Keaton failed the camera test in "The Cameraman" (1928). 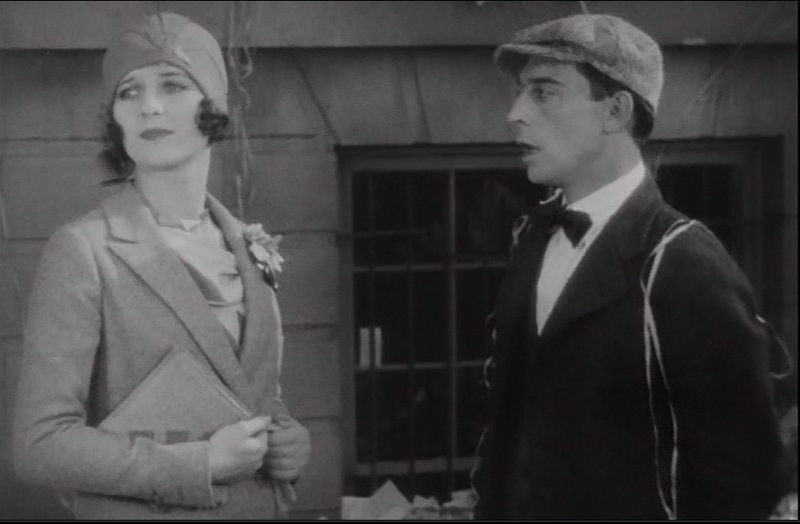 Marceline Day tells Buster Keaton "Don't be discouraged" in "The Cameraman" (1928). Marceline Day tells Buster Keaton to always grind forward, never backward in "The Cameraman" (1928). 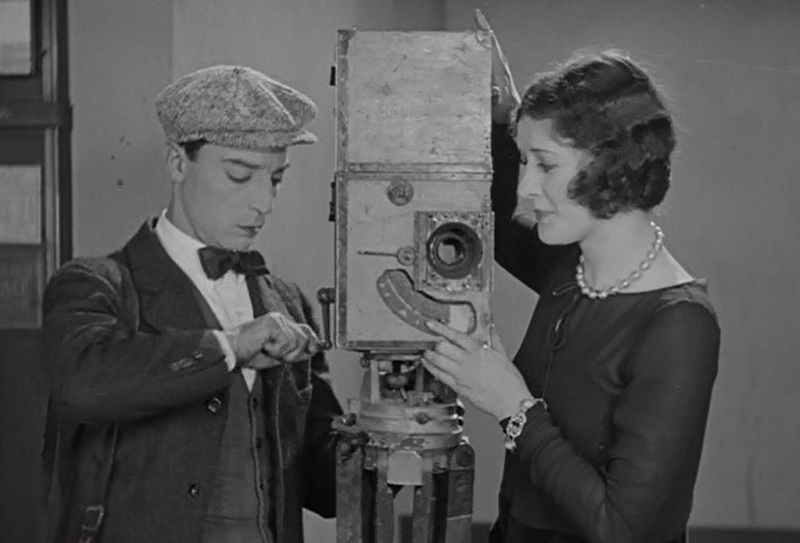 Marceline Day encourages Buster Keaton to keep trying in "The Cameraman" (1928). 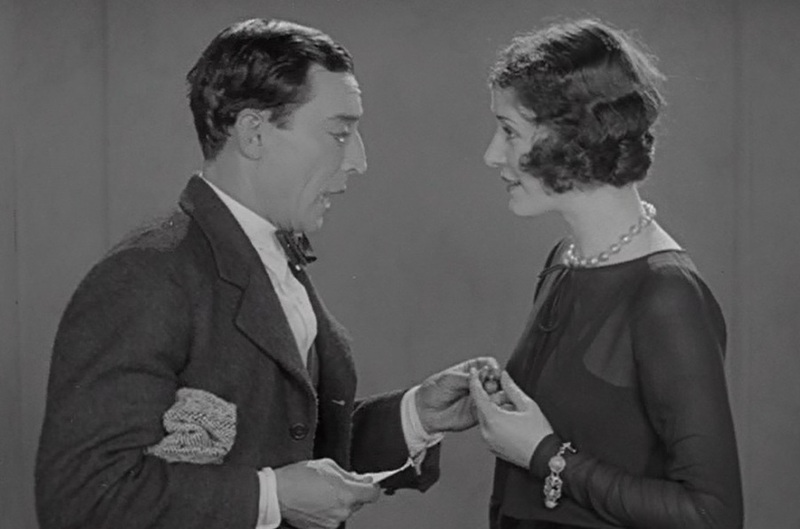 Marceline Day asks Buster Keaton for his phone number, but he gives her the pencil in "The Cameraman" (1928). 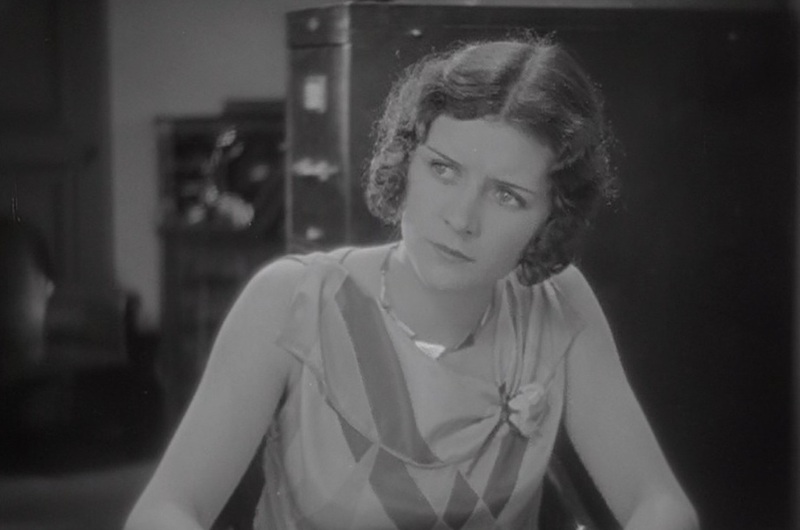 Marceline Day realizes that Buster Keaton gave her a pencil in "The Cameraman" (1928). 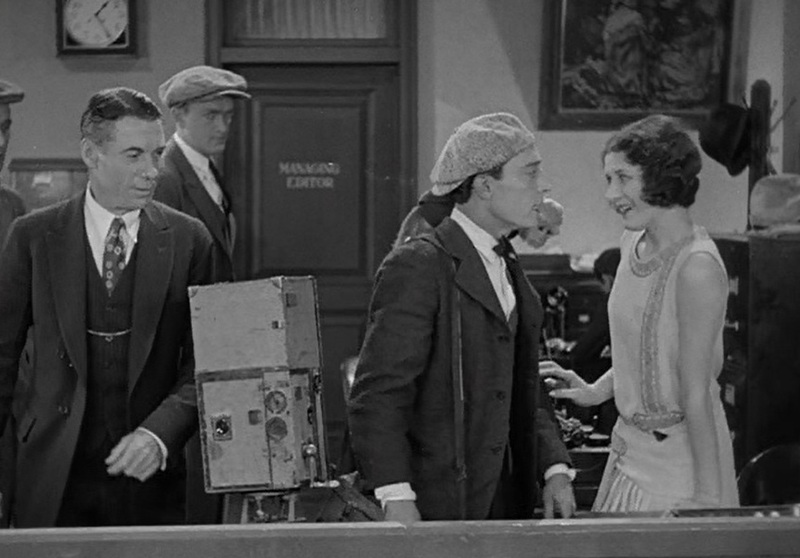 Marceline Day returns to Buster Keaton the pencil and gets his phone number in "The Cameraman" (1928). 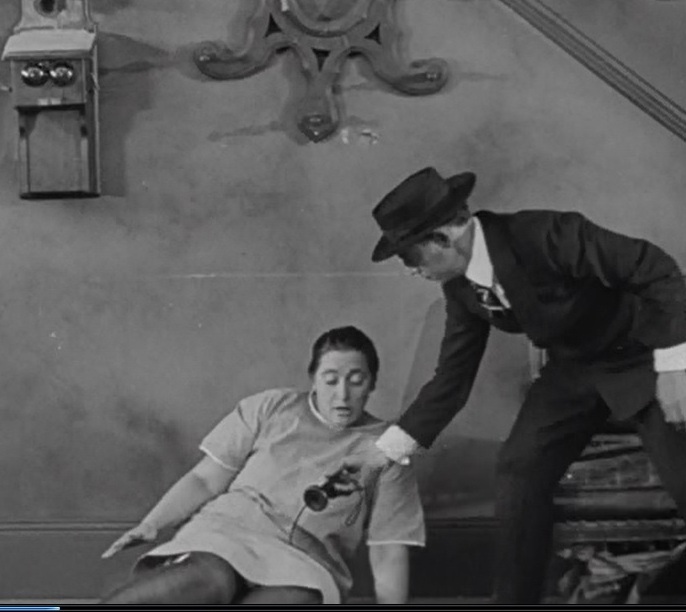 Buster Keaton in his hurry to meet Marceline Day stumbles upon the housekeeper and then pulls out the telephone cord from the wall in "The Cameraman" (1928). 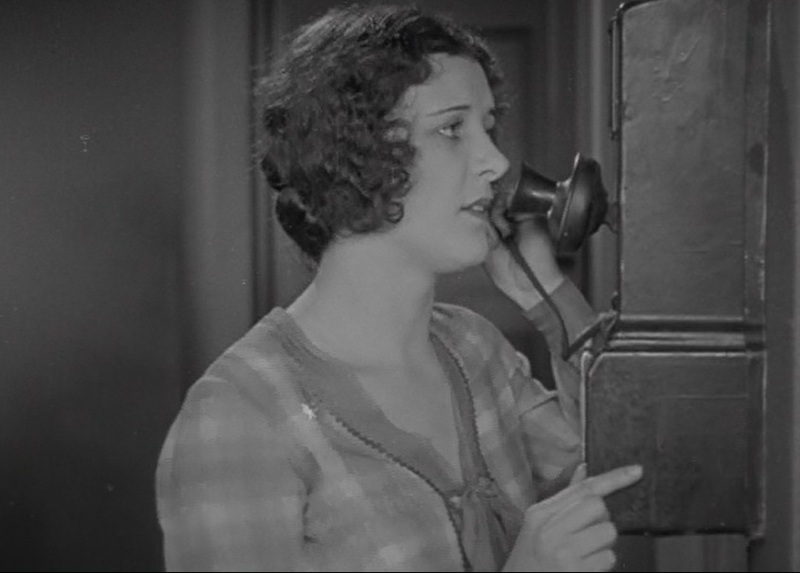 Marceline Day realizes that Buster Keaton is not on the phone in "The Cameraman" (1928). Buster Keaton and Marceline Day enjoy a nice walk in "The Cameraman" (1928). 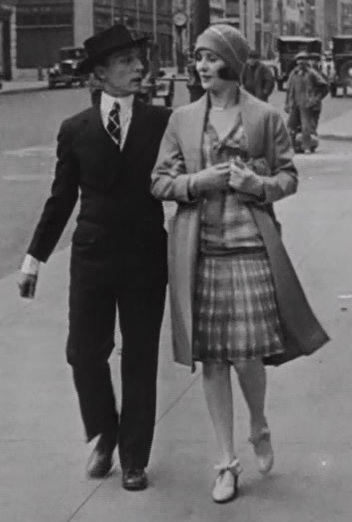 Buster Keaton and Marceline Day enjoy a nice walk... oops, banana peel in "The Cameraman" (1928). Marceline Day reacts to seeing Buster Keaton pull out a handful of dimes in "The Cameraman" (1928). 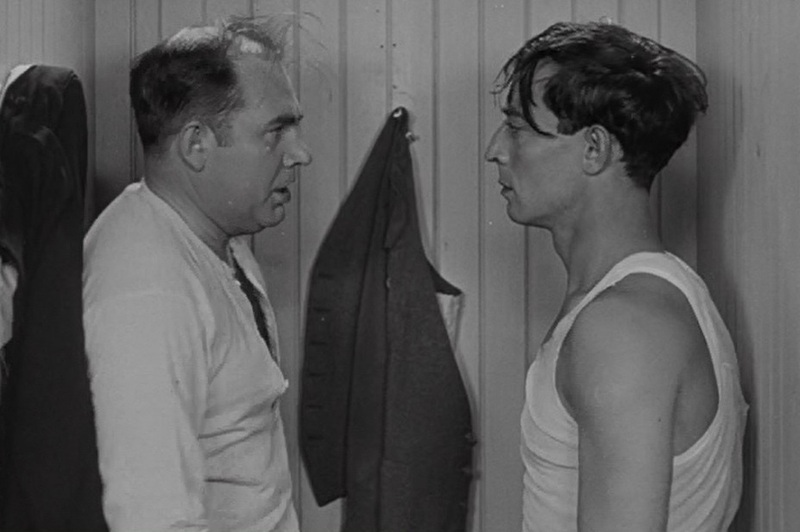 Edward Brophy and Buster Keaton share a dressing room in "The Cameraman" (1928). 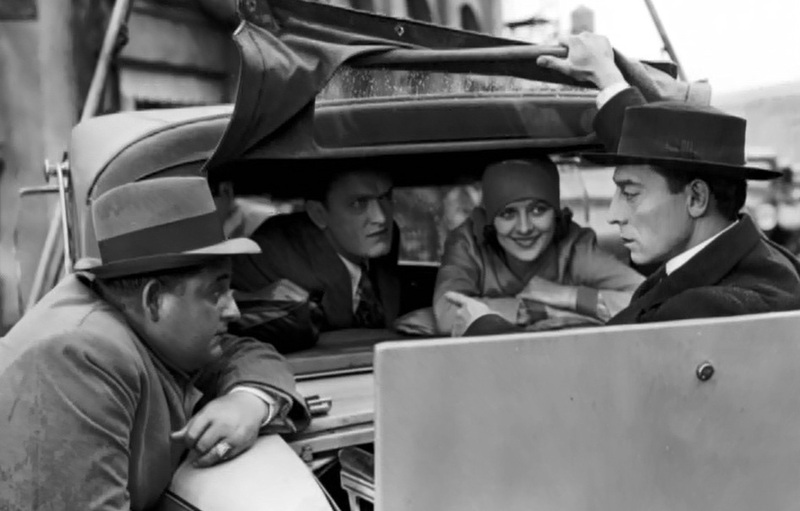 Marceline Day is glad, Buster Keaton unhappy to see Harold Goodwin during their date in "The Cameraman" (1928). Marceline Day and Buster Keaton - the only kiss in "The Cameraman" (1928). 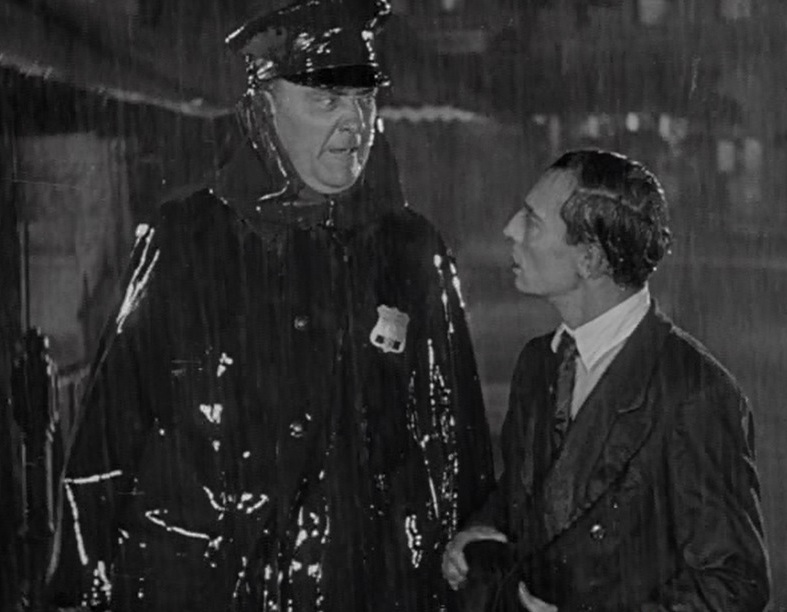 Harry Gribbon the cop checks Buster Keaton in "The Cameraman" (1928). Marceline Day listens in excitement to Buster Keaton as he tells her details about the Tong war in "The Cameraman" (1928). Marceline Day is very excited that Buster Keaton filmed the Tong war, as Sidney Bracey and Harold Goodwin look on in "The Cameraman" (1928). 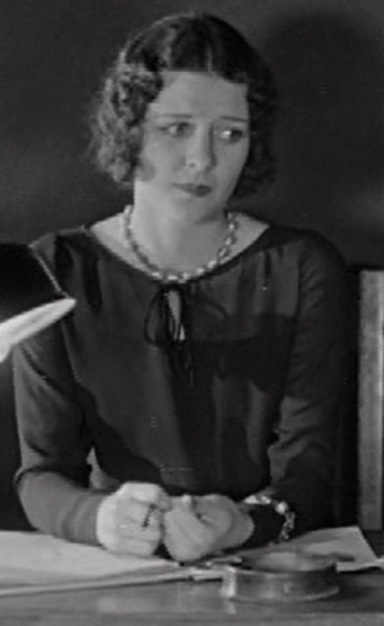 Marceline Day is severely reprimanded by boss Sidney Bracey in "The Cameraman" (1928). 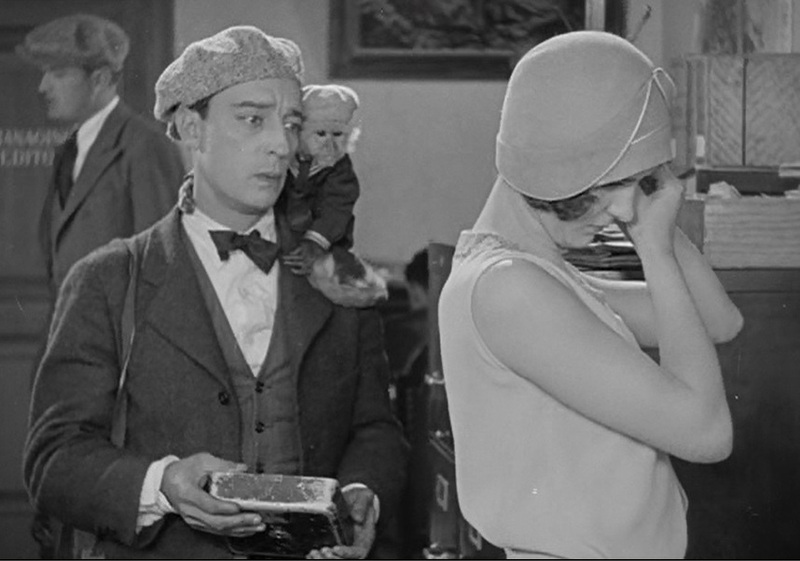 Marceline Day rejects Buster Keaton, as he suffers consoled by the monkey in "The Cameraman" (1928). 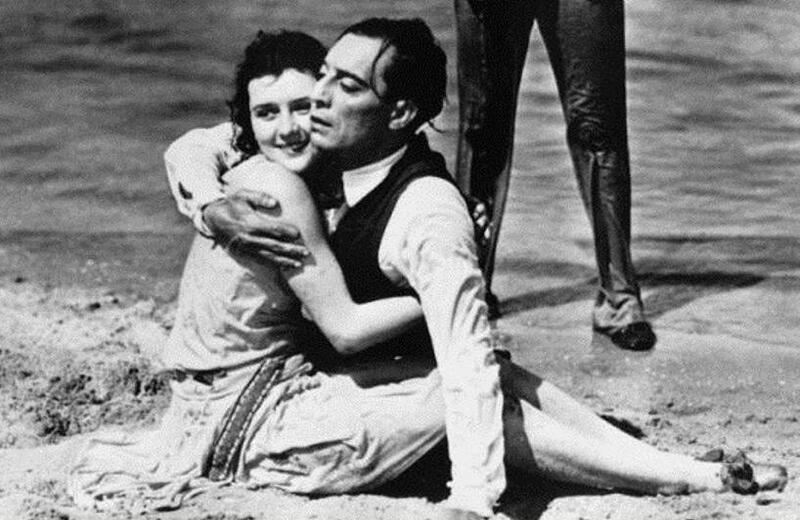 Buster Keaton saves Marceline Day from drowning in "The Cameraman" (1928). 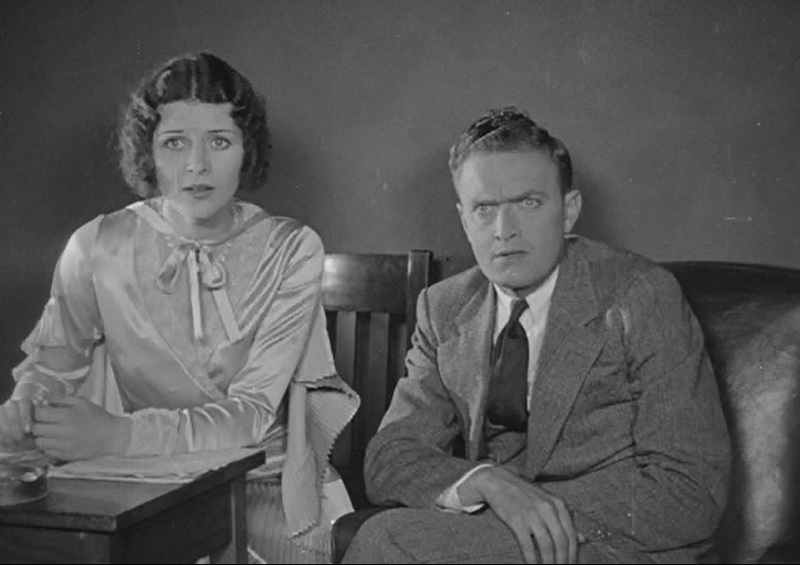 Marceline Day is excited, Harold Goodwin horrified as they watch Buster Keaton's film in "The Cameraman" (1928). 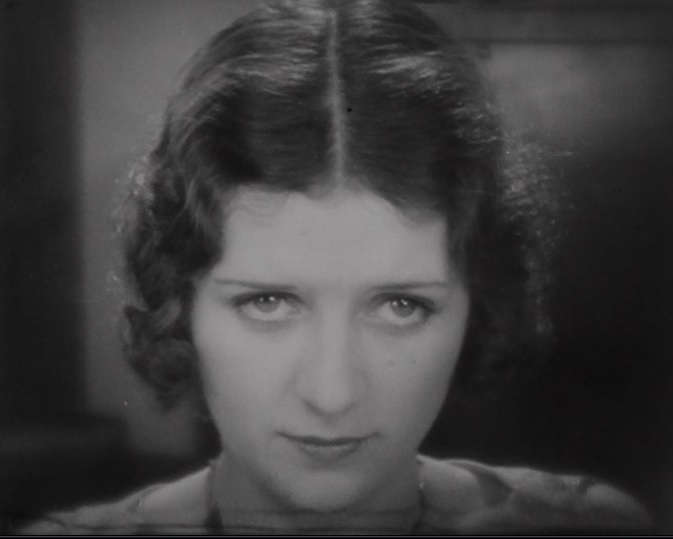 Marceline Day unloads on Harold Goodwin for lying to her in "The Cameraman" (1928). Marceline Day thanks Buster Keaton for saving her life in "The Cameraman" (1928). "The Cameraman" (1928) another poster. 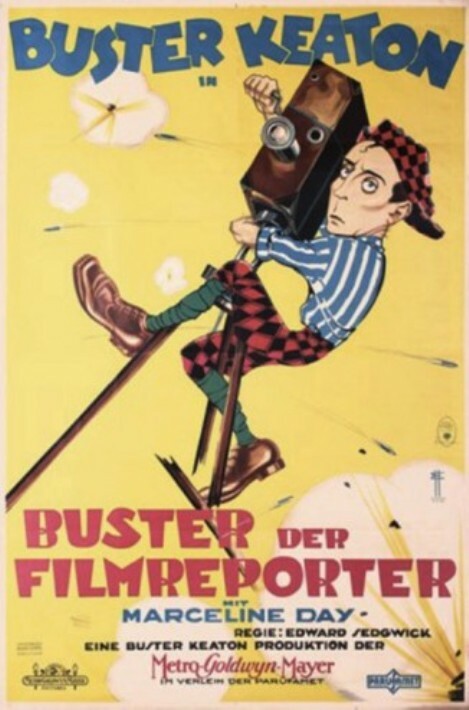 "The Cameraman" (1928) - a German poster. 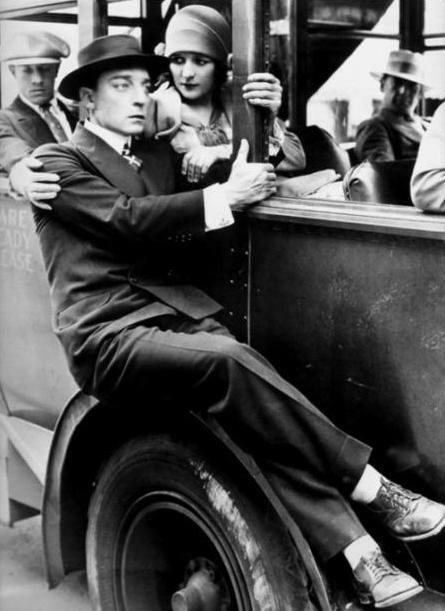 Buster Keaton sits on the outside of the bus to be close to Marceline Day in "The Cameraman" (1928). Buster Keaton and Marceline Day on the set of "The Cameraman" (1928). Eyes speak better than words. Buster Keaton and Marceline Day on the set of "The Cameraman" (1928). Eyes speak infinitely better than words. 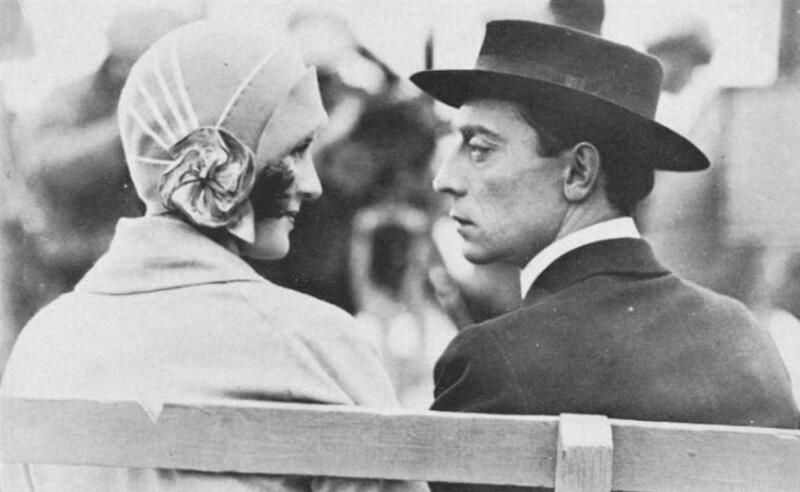 Buster Keaton and Marceline Day on the set of "The Cameraman" (1928) - after he saved her from drowning. 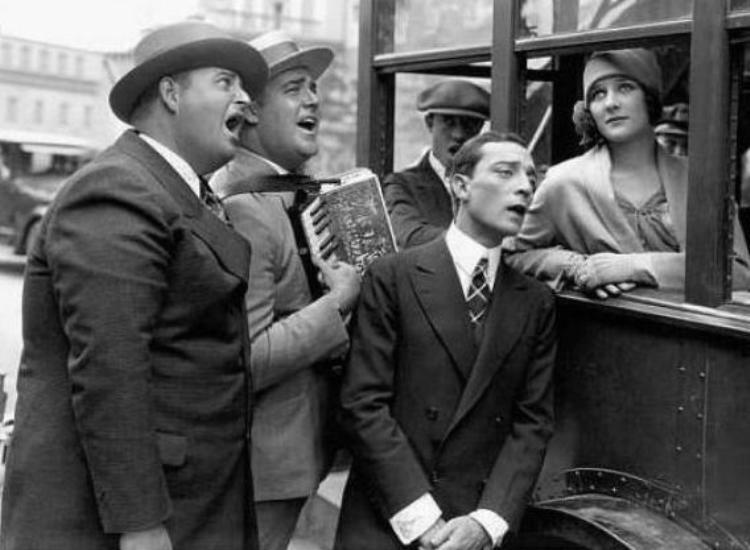 Director Edward Sedgwick and Harold Goodwin appear star struck by Buster Keaton while Marceline Day is looking on, during the filming of the rain scene on the set of "The Cameraman" (1928). Marceline Day looks misty eyed as Buster Keaton, director Edward Sedgwick and others serenade her on the set of "The Cameraman" (1928).